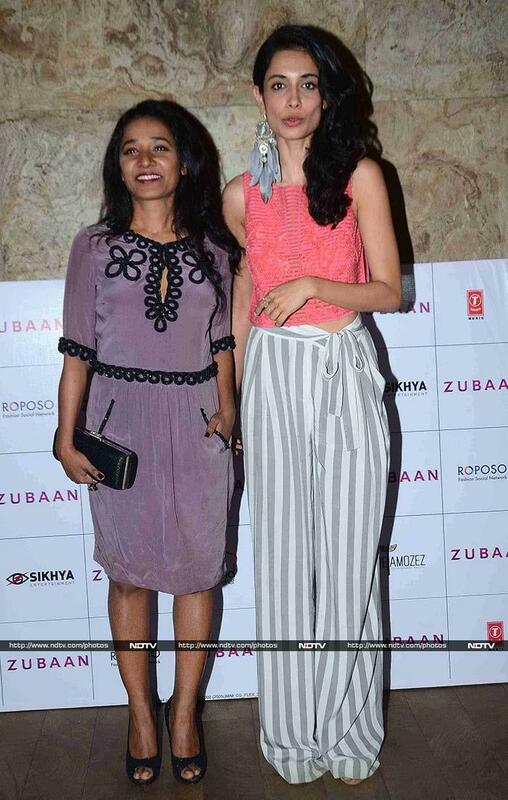 Actresses Radhika Apte and Tannishtha Chatterjee attended a special screening of movie Zubaan on March 1, which stars Sarah Jane Dias and Vicky Kaushal in lead roles. Radhika, who was bespectacled at the theatre, looked cute in red and black. Sarah's pink crop top perfectly complemented her pants. Sarah also roped in Tannishtha for a picture. Veteran actress Sarika was elegant in a white sari. Actress Divya Dutta too picked traditional attire for the evening. Aamir Khan's filmmaker wife Kiran Rao's style is all about comfort. Model-turned-actress Elli Avram was layered in black. Vicky was all smiles for the cameras. Actor Ashmit Patel was also spotted at the theatre. Bajrangi Bhaijaan director Kabir Khan too enjoyed some movie time. Meanwhile, at another part of Mumbai, actor-comedian Kapil Sharma was photographed at the launch of his new show The Kapil Sharma Show. Kapil was accompanied by former Indian cricketer and television personality Navjot Singh Sidhu, who was part of Kapil's previous show. The team of Comedy Nights With Kapil, Kapil's previous show, which included Kiku Sharda, Ali Asgar, Sunil Grover and Sumona Chakravarti, were photographed on stage.